It’s with some sadness and great relief to tell you that I quit Oasis tonight. People will write and say what they like, but I simply could not go on working with Liam a day longer. 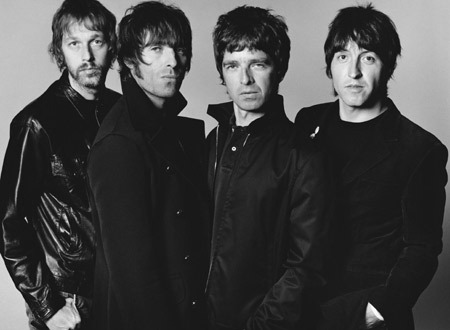 The statement comes just days after the Oasis camp scrambled to quash rumors that the band had dissolved after canceling their V Fest appearance. Wow, I never expected them to break up. What could they possibly fight about? How a song should be played? This time, it sounds pretty final. They only had two or three dates left to finish the world tour, but they couldn’t even make it that far. I heard the band cancelled one recent gig due to Liam’s voice, but in retrospect maybe there’s more to the story. Anywho, I’ve been secretly waiting for the Noel Gallagher solo career for some time. Now it looks like in a year or two, that might be a reality. “Liam smashed Noel’s guitar” would be a great band name. Probably better as a song or album title. Huh. End of an era. Pls. take this as you may, but maybe they (Bonehead, the Gallaghers themselves, Alan McGee) were right that the band should’ve hung it up at Knebworth in ’96, reasoning that it doesn’t get any better than that. Are these twits still around? Christ, who cares anymore? Well, it might just be time for them to put the band to rest–that is, if Liam and co. don’t decide to continue sans Noel–even though that last album was their best in a while. Hitler is really upset about this. That ‘Hitler’ clip is awesome.